Lululemon yoga pants and Uggs have been replaced by a decidedly more bohemian combination. This ensemble is made up of two accessories: Part 1 is the No. 6 clog ($285–$450), which has become ubiquitous in upscale Brooklyn neighborhoods and on celebrities like Keri Russell, Julianne Moore and Claire Danes. Part 2 is the Salt strap ($138), a thick, detachable handbag strap woven from bright colors, made to hook onto luxury bags, as Salt’s Instagram account promotes vividly, like the $2,500 Gucci, the $3,300 Hermès, a $2,600 Celine or a $1,700 Chloé. 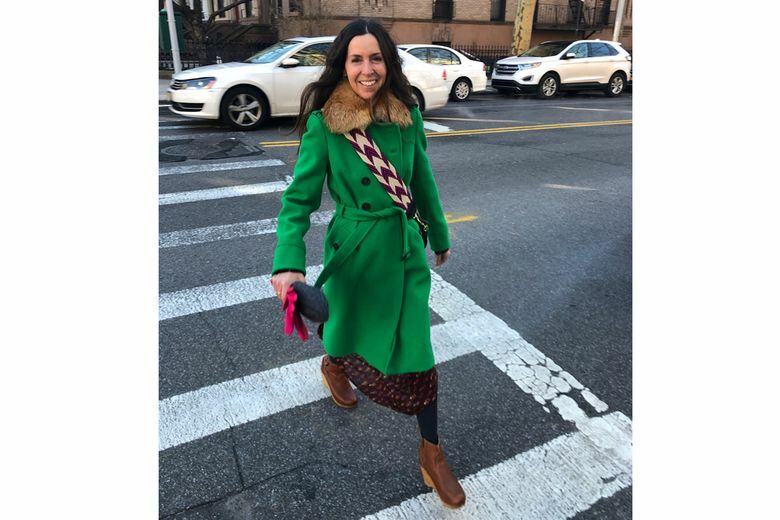 Zora Ginsburg, a mother of two and a sales specialist for Rebecca Taylor who lives in the Clinton Hill section of Brooklyn, has been wearing her No. 6 clogs for about eight years. She owns them in a variety of colors — the shearling, the slides, the zip-up boots. When she’s not wearing No. 6 clogs, she’s wearing Isabel Marant bootees and Dr. Martens. Yet sometimes it seems that choosing to wear the same clothing as the people around us is a lot less about our materialistic desires than it is about our evolutionary development as humans. That women in the same area are drawn to similar styles makes sense. Our evolutionary prehistory shows that we needed many people to help us raise our offspring, so we surrounded ourselves with those who had similar values or who looked like us. We can still see an echo of that today, said Wednesday Martin, a social researcher whose most recent book is “Untrue,” a study of female infidelity. Martin owns four pairs of No. 6 clogs; she keeps two in her Manhattan apartment, the other two she keeps at her house in Sag Harbor. She does not own a strap, but she is familiar with them. Martin compares the woman who dresses like her peer group to the bonobo ape: a female-dominant species that leaves its kin behind and bands together to form new communities to fend off male aggression. Like the man in the gray flannel suit showed, or the Pink Ladies with their embroidered pink jackets in “Grease,” or the Teddy Girls of London with their rolled up dungarees and blazers, or sure, mom jeans, wearing the same clothing sends a signal: On the one hand, it links you to people you want to resemble, and on the other it separates you from people you don’t want to resemble. SaSaDi Odunsi, 42, a Park Slope mother of four and the co-owner of a bead collective, owns two pairs of No. 6 clogs as well as the blue and white “Duke” Salt strap, currently hooked onto an Oliveve snake-print leather bag. “There’s a pretty affluent population of parents here, without question, which will help define whether or not people are buying certain things,” Odunsi said. “Because we all know these things cost money. And sometimes when a trend is outrageously expensive, I look around and think, ‘Ooh, there’s a lot of people who can afford a lot of those things.’” She lives in Park Slope, after all, where the average home goes for about $1.2 million. Earth-mother message aside, a pair of No. 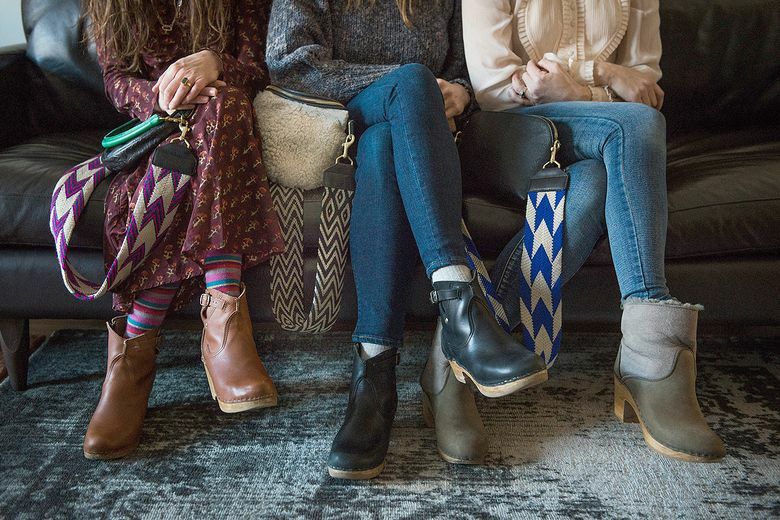 6 clogs can cost more than $400, and the strap, at $138, is marketed with bags that 99 percent of women can’t afford. Yet because of its straight-out-of-Laurel-Canyon-circa-1969 look, combined with a charitable element (Salt has a partnership with artisans from La Guajira region of Colombia, according to its website, and donates a portion of its proceeds to the Wayúu Tayá Foundation, a Colombian nonprofit), the strap, in a way, “counters or at least reduces the extravagance of the bag,” said Carolyn Mair, a psychologist and founder of a consultancy firm, Psychology.fashion. For moms, specifically, the No. 6 clog gives off a message that you’re very much interested in comfort and not so interested in appearance. Harling Ross, the fashion editor at Man Repeller, described this as “Menocore,” a hateful takeoff on normcore, celebrated mostly by women in their 20s on Instagram who haven’t even started going through perimenopause yet. It’s also possible that this new uniform is just about good timing. The Salt strap, for example, is benefiting from the handbag industry slump.